Earth day: 4/21/18 event at Universal Unitarian Church. Karl would like to set up a display at the event. 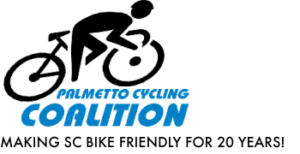 John Cash’s Challenge to Conquer Cancer is on 4/21/18. Criterium: 4/27/18, tent is on the backstretch next to the local hiker. 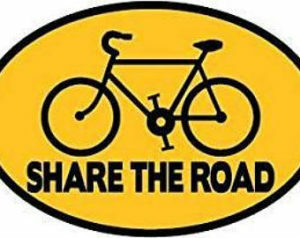 Bike maintenance class in June or July at Inman Library. Working on 2 pieces of legislation. 3615/Vulnerable User bill was voted down by Dwight Loftus, killing the bill. 4480/DUI-E made it to the house floor, but Steven Long of Boiling Springs put forth a motion to have it debated, delaying the bill for another year. 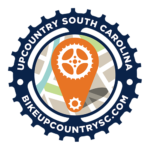 Spartanburg is a bronze level bike community as labeled by the League of American Bicyclists. Paul is going to make a presentation to the city Bike/Ped commission. May 1st is the Midland Gives date. Board moved to donate $500 to the PCC via Midland Gives. Larry Hart: FW has $90,195 in the accounts. Jennifer Britanisky in absentia: The club has 184 members (combining single and family members).